What band in Europe is big enough to headline over Nine Inch Nails at the world’s oldest music festival in 2013? 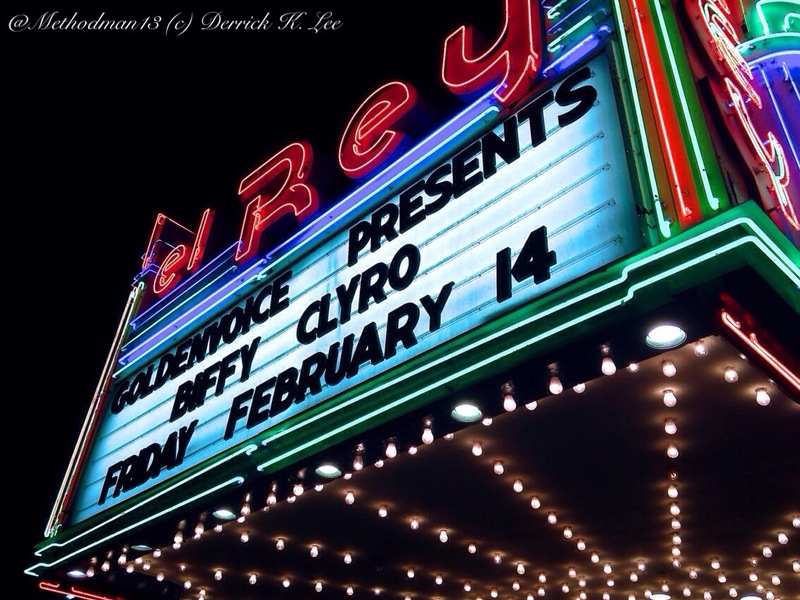 Biffy Clyro. Never heard of them? Well, you should. Formed back in 1995 in Kilmarnock, Scotland, Biffy Clyro has released 6 albums, and sold over 1.1 millions copies of their albums in the United Kingdom. Back in the United Kingdrom, they sell out venues as large as the Staples Center which seats 20,000. On Valentine’s day, they played a venue with a capacity of 771; but they rocked it like it was an arena show. Waiting for the band to take the stage, I noticed a couple standing in front of me wearing home made shirts that had the words “MON THE BIFFY” emblazoned on the back. I asked them about the shirts, and as soon as they started explaining the meaning of the phrase (a popular saying originated by fans which essentially is short for “C’mon Biffy Clyro”), I noticed their thick European accents. As it turns out, they were loyal fans from Scotland who decided to follow the band to the states to catch their gigs. They are engaged to get married, and as it turns out they actually met at a Biffy Clyro show. I told them that this was my first time I watching the band perform live, and they assured me that it would not disappoint. They were right. When the lights of the venue dimmed, and Sister Sledge’s song “We Are Family” (a song that the band plays before every live show) pumped through the house speakers, the audience erupted in cheers. The band took the stage, and immediately exploded into their set with such a fierce energy that it was quite exhilarating to watch. It was almost as if they were playing to prove to those in attendance that they were a band that needed to be noticed. And I noticed. The band consists of five players (with Simon Neil on lead vocals and guitar, James Johnston on bass and vocals, and Ben Johnston on drums in the forefront, and Mike Vennart on additional guitar and Richard Ingram on keyboard in the shadows), and their sound was full, lush and expertly played. Both Simon and James demonstrated their masterful showmanship using the entire stage, and engaging all parts of the audience throughout the set. These guys know how to put on a live show and their repertoire was filled with raucous, pop-friendly, crowd pleasing anthems. I wouldn’t be surprised if they are performing in venues bigger than the El Rey the next time they visit Los Angeles. Not at all. I would say that the highlight(s) of the evening was when the audience, who were all much better versed in the band’s music than I, sang along and Neil let the crowd do the singing. Being in the audience, engulfed in the sound of voices all around singing (rather well I may add) music unfamiliar to me, sent shivers down my spine. I hope that the next time I see the band perform live, I’ll be singing along with them. Unfortunately, the Flickr slideshow below is not currently available on mobile devices. If you are on a mobile device, please click THIS LINKto get redirected to the set of photos.